Welcome to your village church! Come on an adventure as we give thanks to God the Father, find rest in Jesus, and serve others in the power of the Holy Spirit. 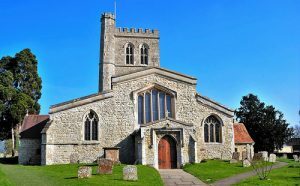 We’re part of a team of 3 churches offering services ranging from the very traditional to the extremely informal; plenty of opportunities to get involved with activities during the week; and the chance to share important life events such as christenings, weddings, and funerals. If you’d like to know more then get in touch, or simply drop in to church – we’re open every day!